What is Kids Club 360? 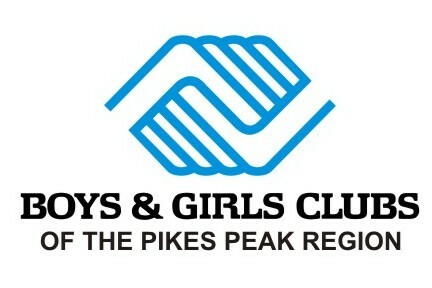 For the past 124 years, the Boys & Girls Club of the Pikes Peak Region has been serving the community’s youth, particularly those from disadvantaged circumstances, in afterschool programs. While we are proud of our history, we are extremely excited about our future and are please to announce our new subsidiary, Kids Club 360. This program will offer the best comprehensive child care program, anywhere. Why do we say we are the best? Because we are! For the past six years, we have been working diligently training staff, improving programs, establishing stronger relationships with our children and families and focusing on what’s most important, the kids. But, don’t just take our word for it; take the word of the most trusted accreditation program in the country, the Council on Accreditation (COA). COA is the highest standard a school age child care program can achieve for overall service. Last year COA awarded us accreditation status which is given to only 2% of child care programs across the country! Through this elite program, Kids Club 360’s is able build self-esteem and life skills by providing hope and opportunity through quality programs and activities administered by highly trained, professional staff in a positive, safe environment. Kids Club 360 will fill a critical need in the community, building character through everyday leadership and guidance in behavior and attitude. We will focus on the areas most in need of improvement through our partnership with HSD2 and their goals and mission. We also have other partnerships that enable us to be the best program in the city. We believe “the best” does not mean you have to pay the most. Our unique partnership with the military allows us to provide child care to military families at the same cost and quality they would receive on post. This partnership exists with very few other child care programs across the nation and is a program the military hand picked us to participate in. We also accept families who qualify for the Colorado Child Care Assistance Program (CCCAP). This program is available to families who qualify based on income. In addition to these options, our weekly rates are one of the lowest in the city. We encourage you to compare our prices to other before and after school care programs and you will find Kids Club 360 as one of the most affordable. Between our partnerships, our accreditation status, our years of experience and our low prices, we believe Kids Club 360 is the best place for your child to attend. If you would like to sign your child up for the best before and after school program in the city, please contact our Central Office at (719) 570-7077 or you can visit us at your schools registration or back to school nights. At Kids Club 360 we are building well rounded futures everyday! So sign up now to join in the fun!